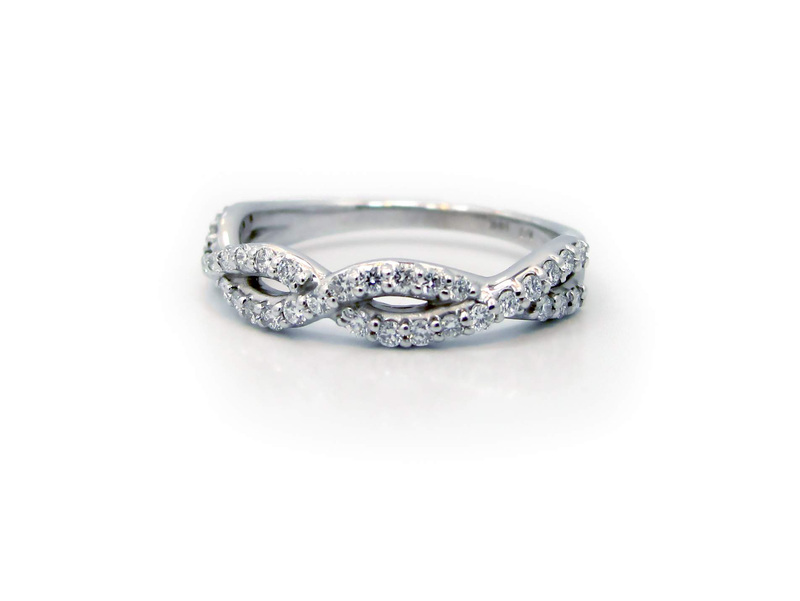 Oh so pretty, 14k white gold twisted diamond band. 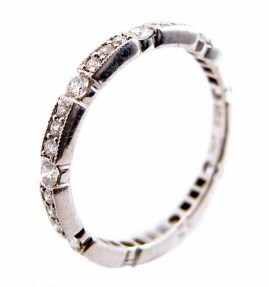 The ring contains 37 round brilliant diamonds weighing approximately 0.37cttw FG SI, in a shared prong setting. The diamonds go approximately halfway around the band. The ring is a size 7.25. One 14k white gold twisted diamond band. 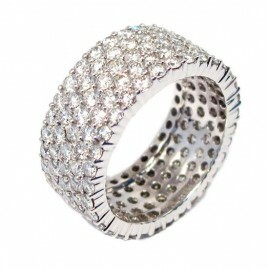 The ring contains 37 round brilliant diamonds weighing approximately 0.37cttw, FG SI, in a shared prong setting. The diamonds go approximately halfway around the band. The ring is a size 7.25.